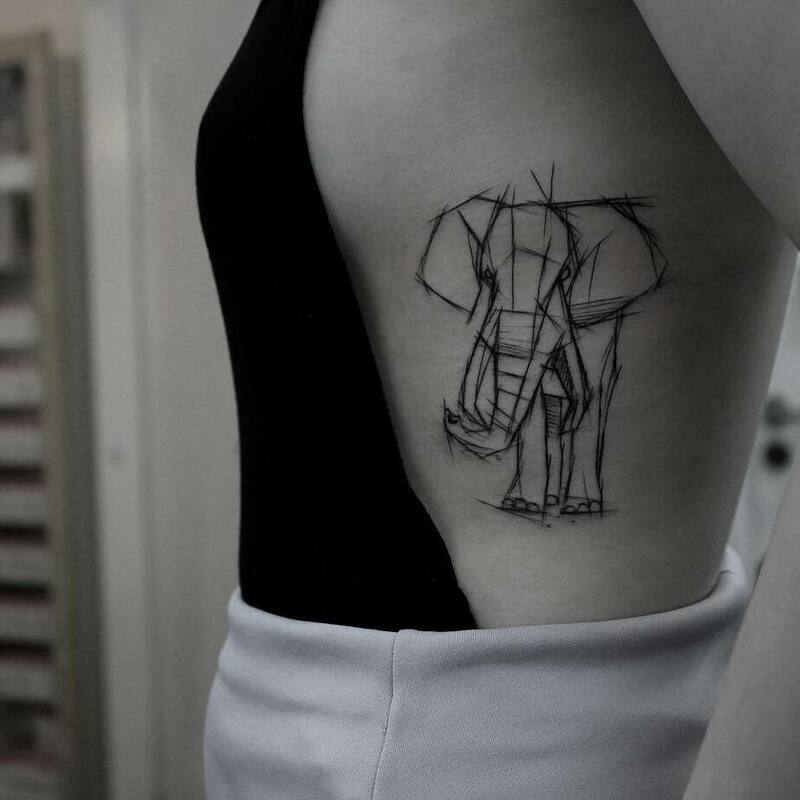 Having such a great abundance of symbols, elephant tattoo designs are extremely popular and truly beautiful. 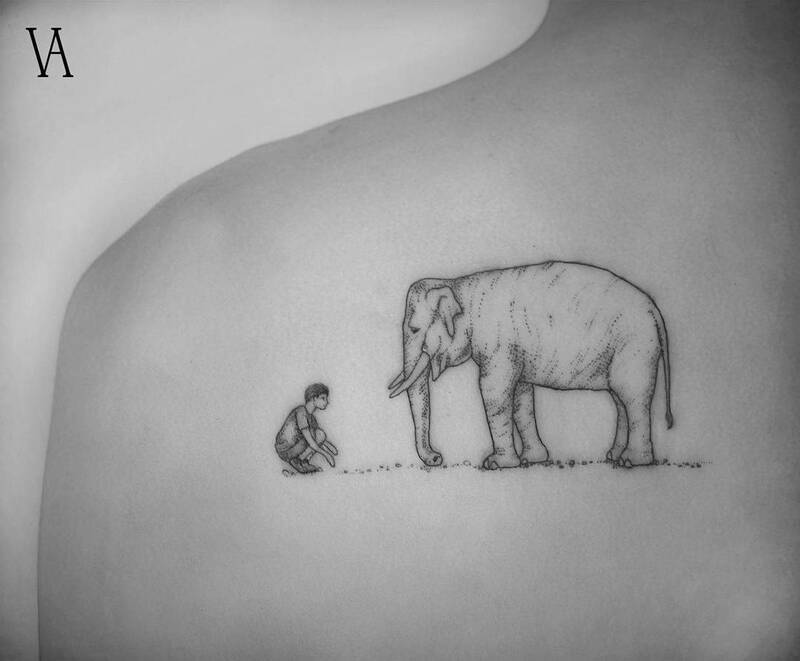 With its unimaginable force and a magnificent appearance, the elephant has amazed people all over the world. 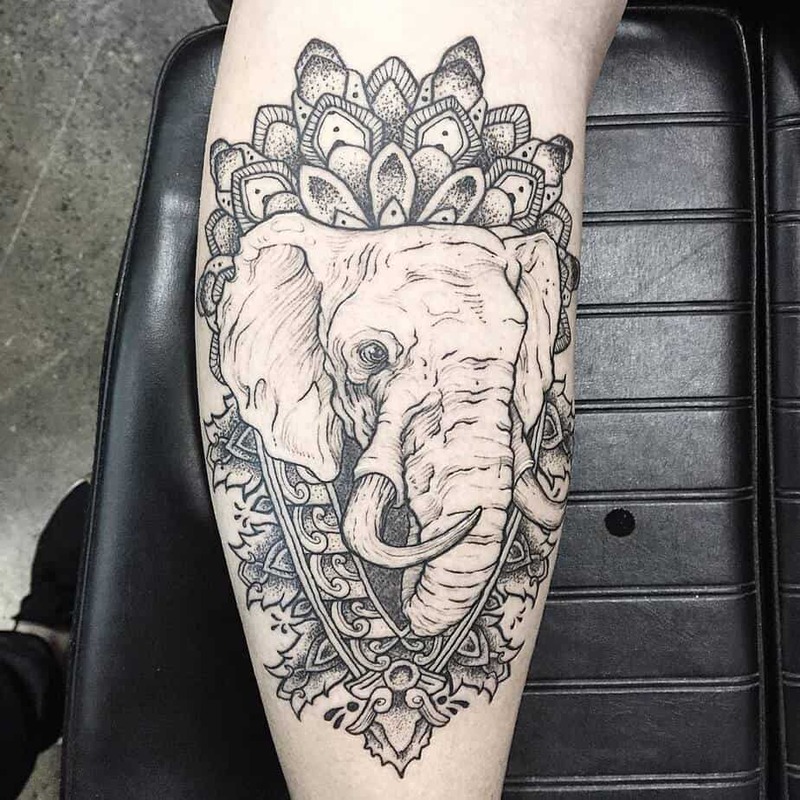 In art, but also in Buddhist culture, the elephant represents royal power, strength, supremacy, but also dignity, patience, and humility. 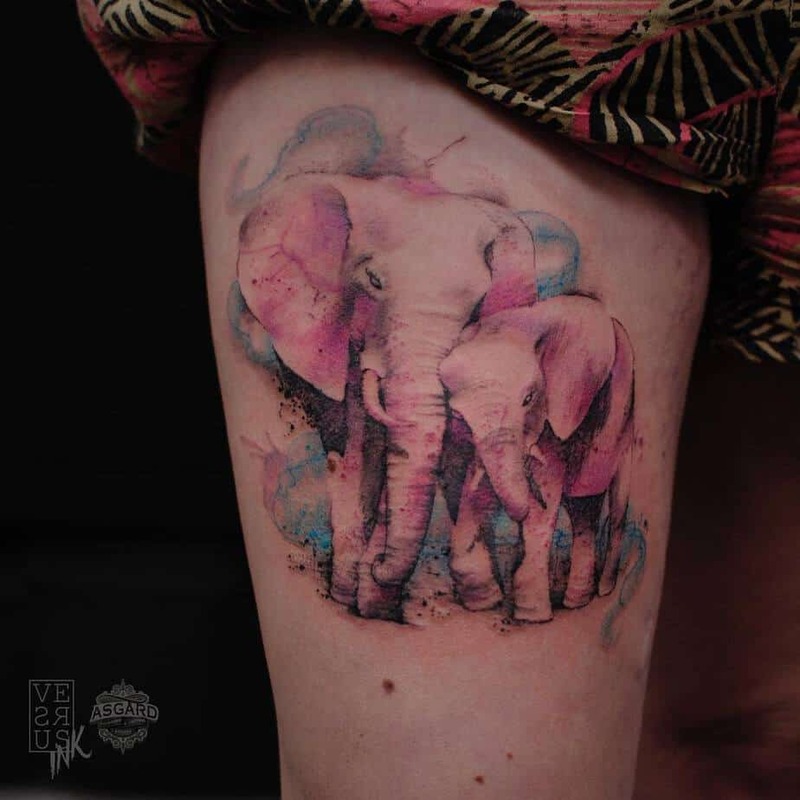 In feng shui art he is an animal that brings luck, longevity, and happiness. 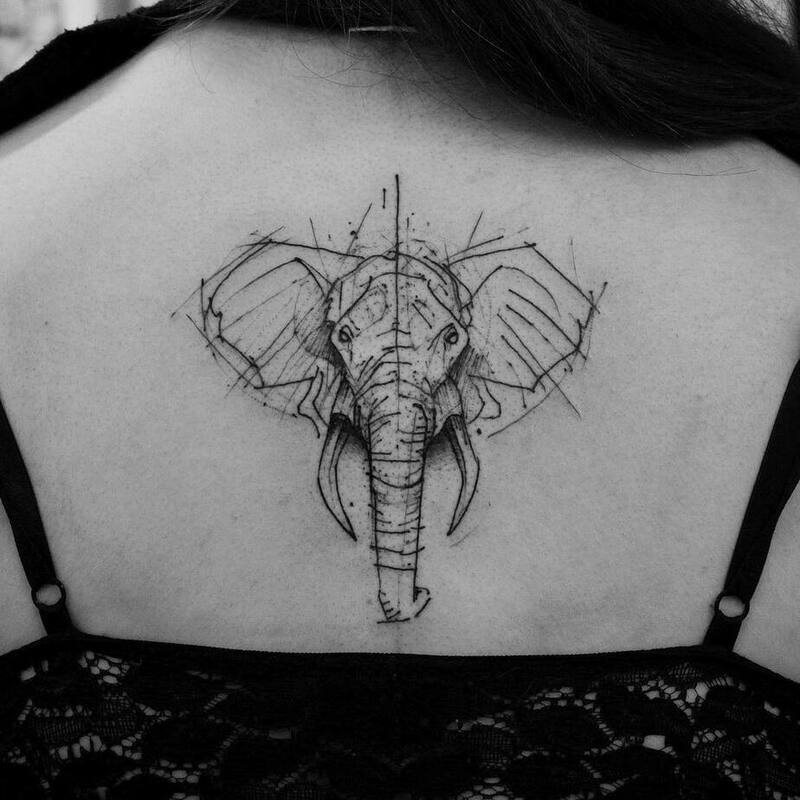 In mythology and in religion, the elephant has become a worthy symbol of honor. 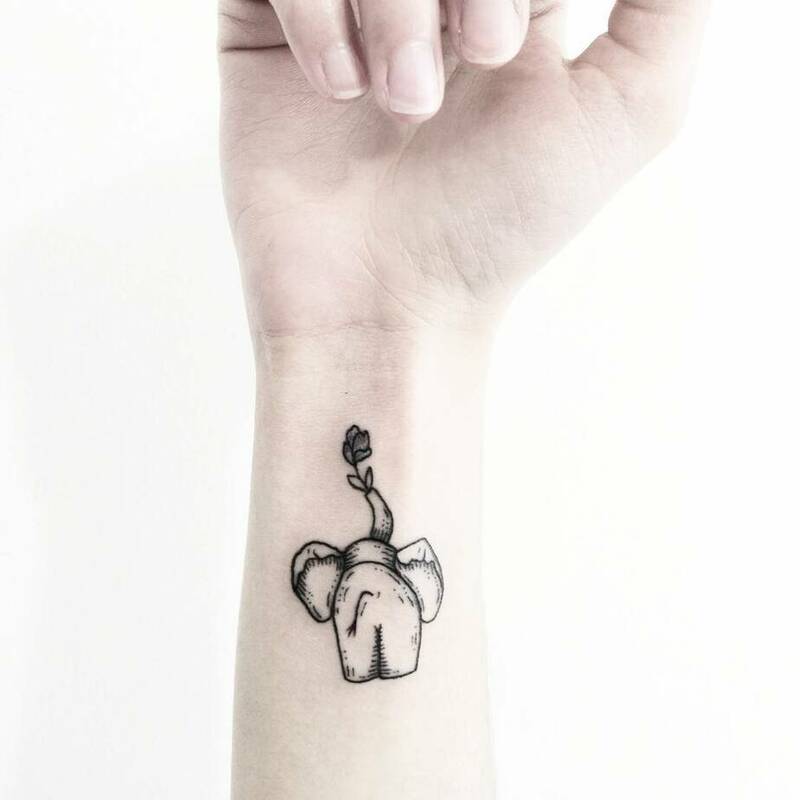 Asia has always been the continent that considered the elephant a symbol of royalty. 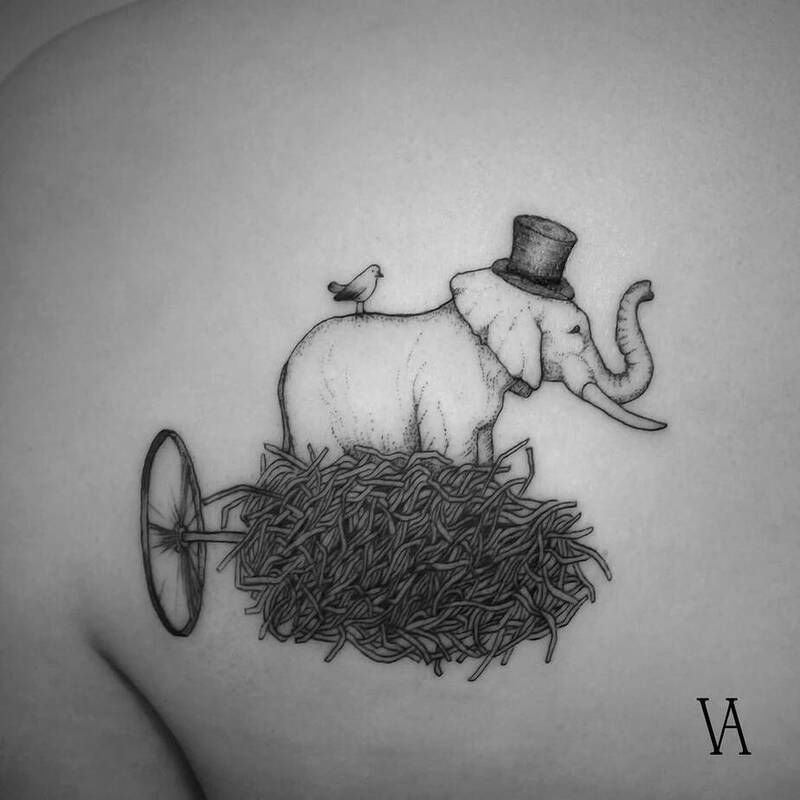 This is also due to the mythology in which Indra, the heavenly king, is riding on an elephant and thus he receives extraordinary attributes. 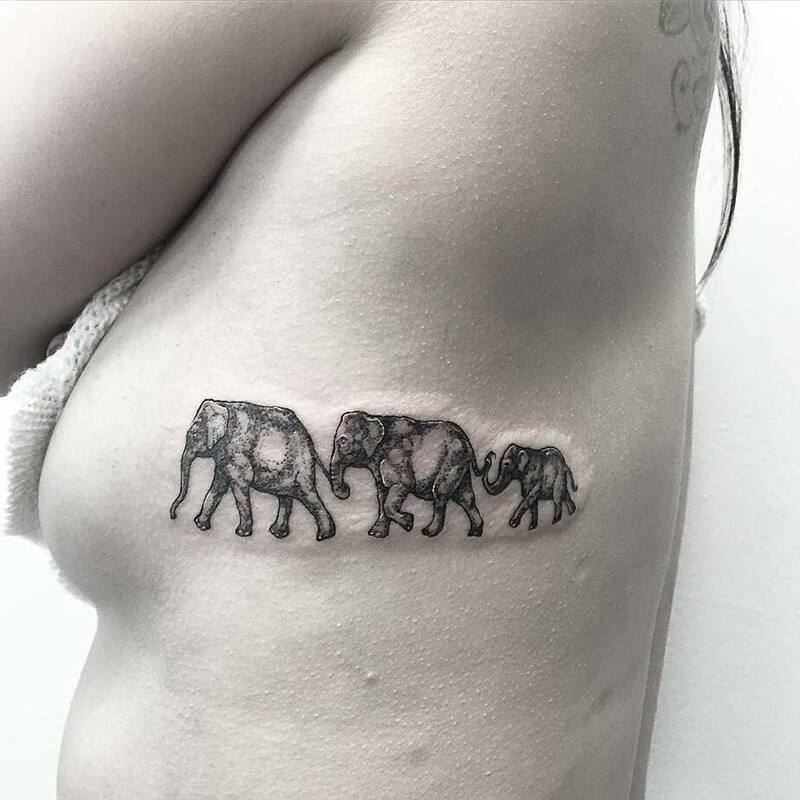 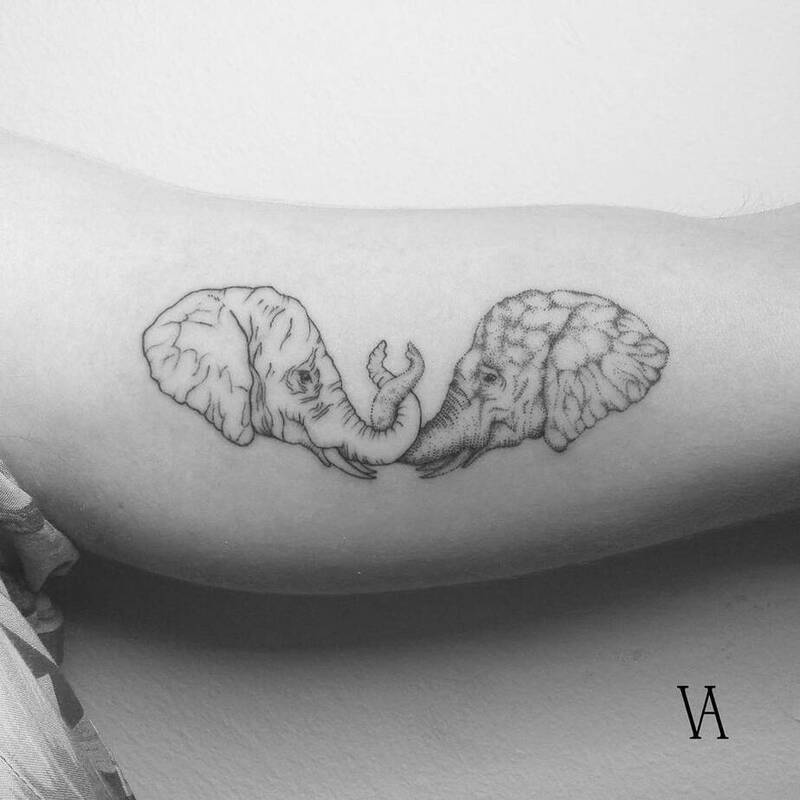 The elephant is considered a symbol of responsibility because it takes great care of its offspring and their elders, thus, an elephant tattoo is a symbol of love for family and encourages protection, strength and strong bonds with loved ones in our lives. 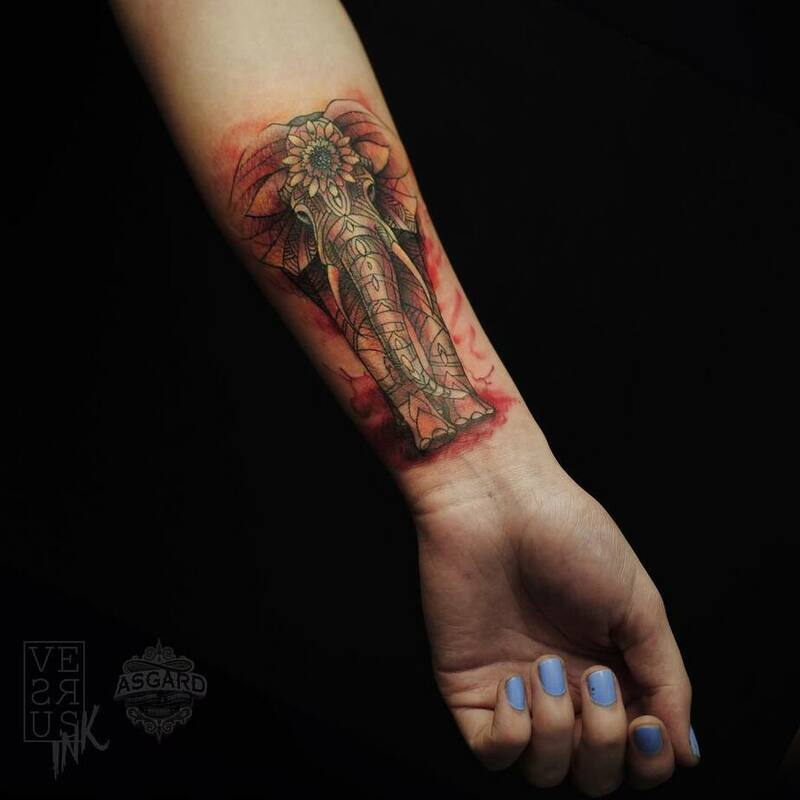 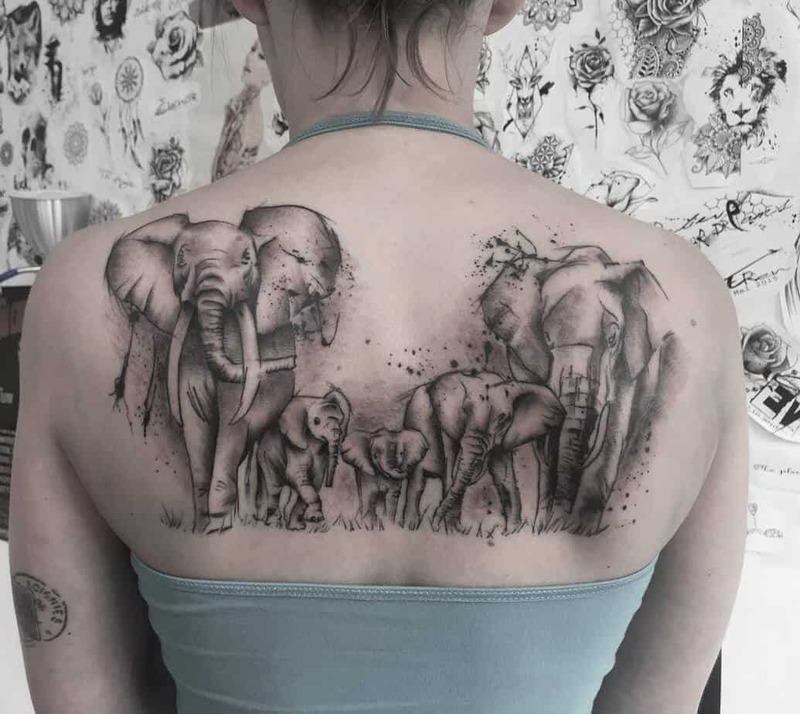 Browse below through our selection of 90 elephant tattoo designs and get inspired for your next tattoo.